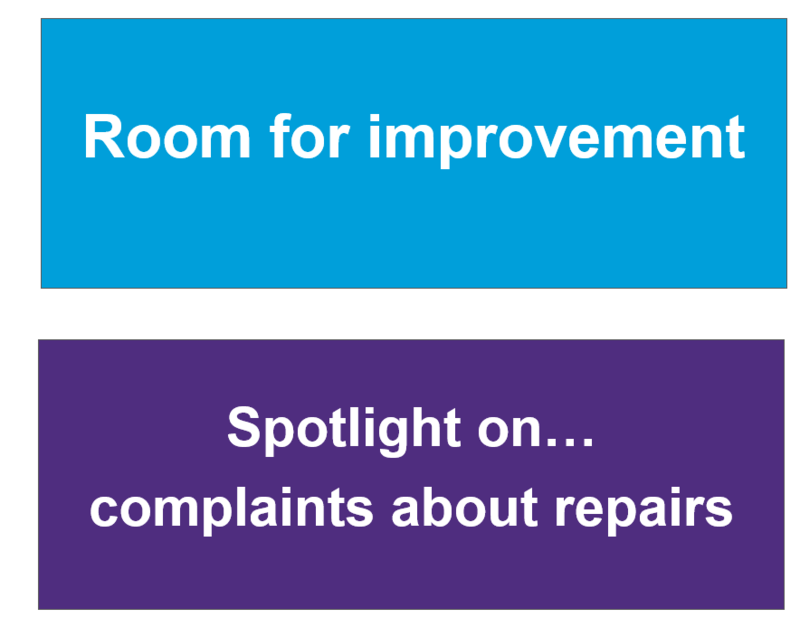 Room for improvement: Spotlight on repairs is our first report as repairs is consistently the biggest category of complaint we deal with, accounting for over one third of all complaints dealt with each year. The report identifies the main causes of complaints about repairs and illustrates these with case studies. The good practice section is based on our dispute resolution principles of Be fair, Put things right and Learn from outcomes. Interim Housing Ombudsman Andrea Keenoy said: “In most cases, landlords carry out repairs well, or resolve problems before or during their formal complaints procedure without our involvement. But when something does go wrong it can have a significant impact on tenants. Unresolved complaints can have a damaging effect on the landlord tenant relationship so resolving them early and locally is the best approach. Room for improvement is the first in a new series of ‘spotlight on’ reports that we will build on over the next few years. It adds to the increasing range of tools and activities that we provide to support landlords and residents including e-learning and workshops.